Peel the apples. Split them into four and remove the core from each piece. 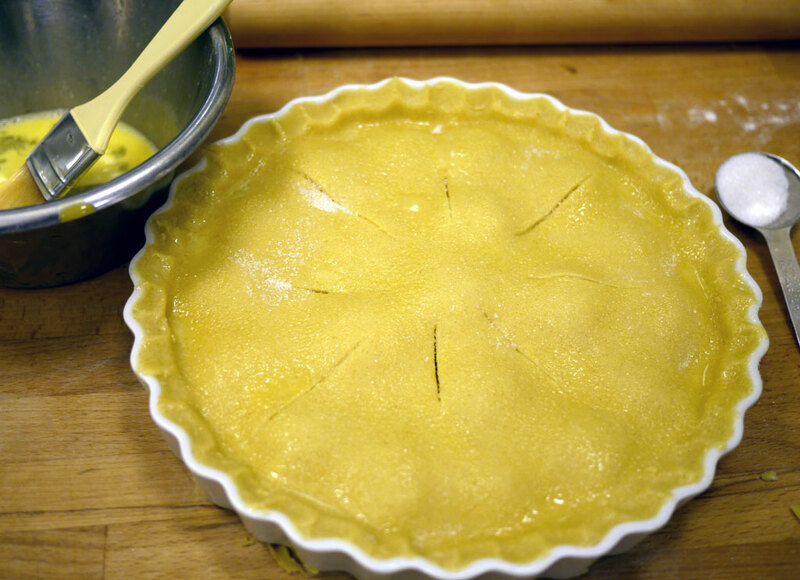 Make the two portions of short crust pastry like in the recipe. One part is for the bottom and the other for the top. Roll out the first part and make the bottom first. Add the apple pieces on the bottom so it is completely covered. Put them skin side up. Sprinkle well with cinnamon sugar. 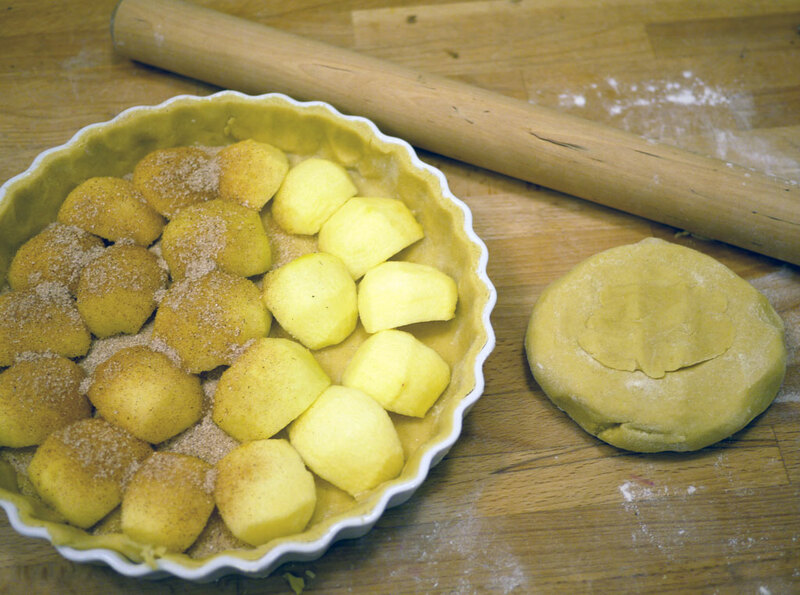 The bottom is made, and half of the apples are sprinkled with cinnamon sugar. 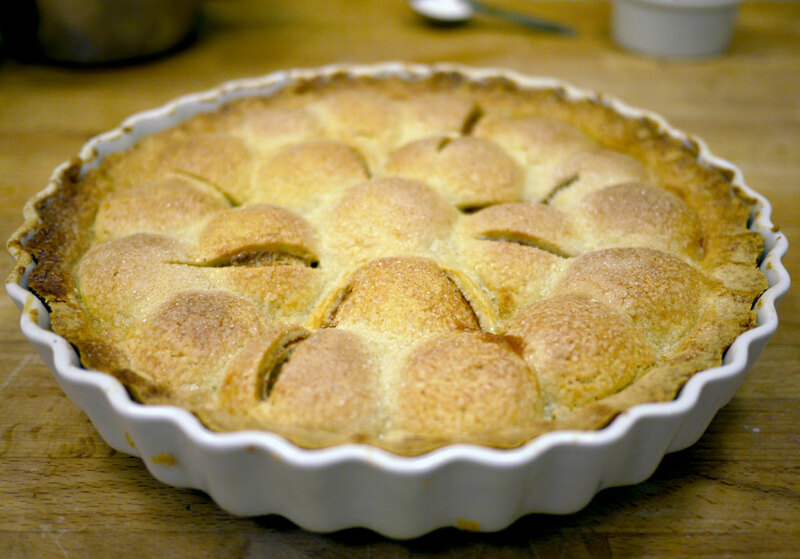 Put on a lid of shortcrust of pastry, and cut some slices in it, so that the steam from the apples can escape. It will prevent the dough from getting wet. Use your fingers and push the edge of the lid together at the edge of the bottom so the two dough parts sticks together. Brush the lid with beaten egg and sprinkle with sugar. The shortcrust pasty lid is on. It is pressed together along the edge. There is also brushed on egg, and it is sprinkled with ordinary sugar. Bake about. 35 minutes at 180°C (350°F). 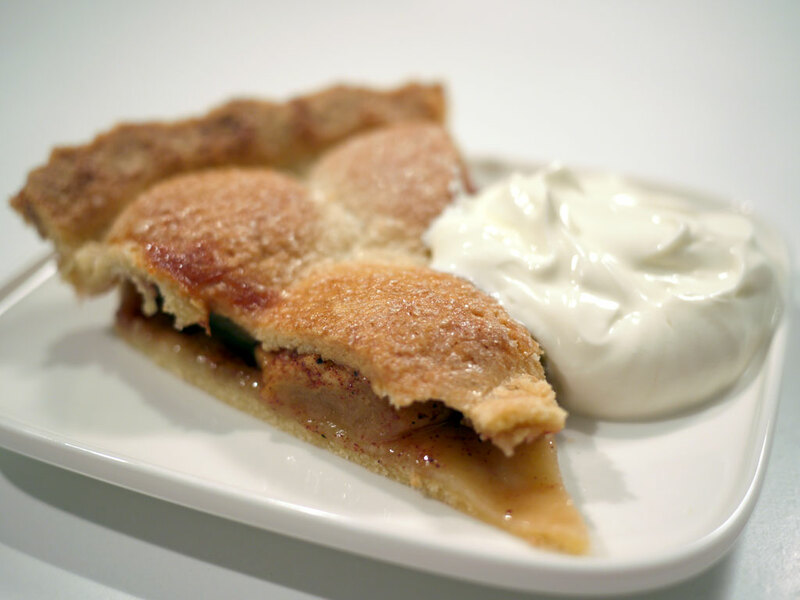 Taste the apples before you add the cinnamon sugar. If they are very sweet, you can make do with 2 tbsp cinnamon sugar. Are not they sweet, or you got a sweet tooth, like me, put on 4 tablespoons. If the apples are very acidic, you can put on more sugar too. 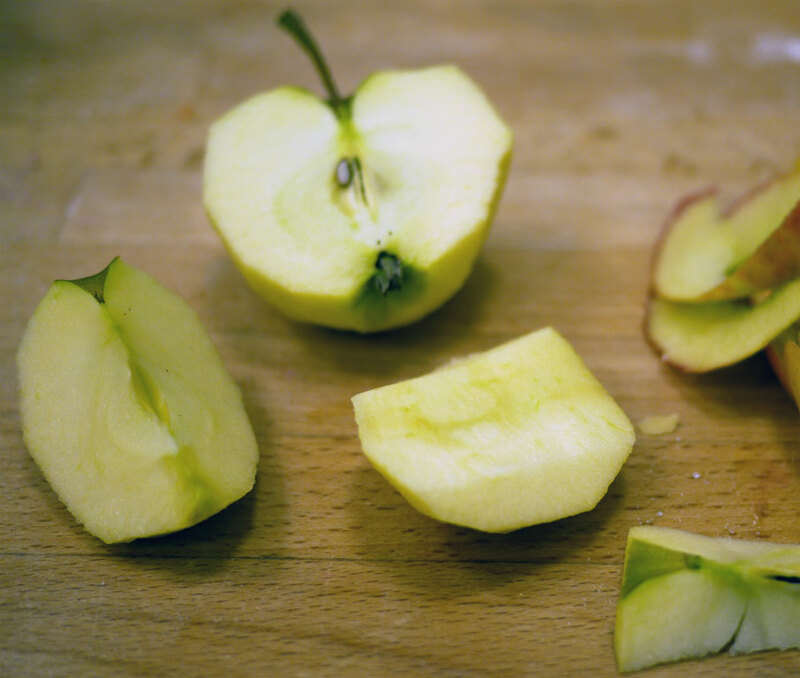 Why do you only sprinkle half of the appels?